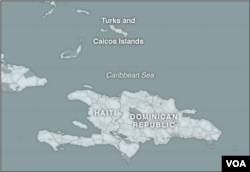 Dozens of Haitian migrants were found adrift in an overloaded boat near the Turks and Caicos Islands. A U.S. Coast Guard crew found 84 people crowded into a 42-foot boat on Sunday about 30 miles (50 kilometers) southwest of the British territory. Cmdr. Randall Chong said in a statement Tuesday that the boat was "dead in the water" and lacked life jackets or other safety equipment. The migrants were given food, water and medical care aboard a Coast Guard vessel before they were returned Tuesday to Port-au-Prince, Haiti. The Coast Guard says 2,488 Haitian migrants attempted to reach U.S. shores by sea in the fiscal year that ended Sept. 30. 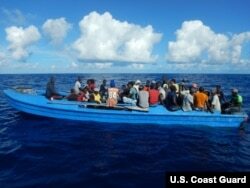 Since Oct. 1, the Coast Guard says it has intercepted 132 Haitians in the Florida Straits, the Caribbean Sea and the Atlantic Ocean.